Welcome to Reno Soap Co! you've known and loved for all these years! while still offering our customers the same high quality that made us successful. Thank you for your business, no matter how big or small. We offer a line of high-quality handmade botanically-based bath & body products, created right here in Reno, Nevada. Our soaps are made with rich and nourishing goat's milk or with clear glycerin. We now feature a full line of shampoo, conditioner, hand and body lotion and bath salts in all of our classic signature fragrances. Custom orders are our specialty and we accept orders for all your personal beauty and gifting needs year-round. 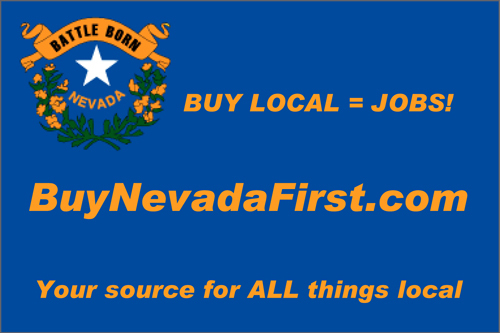 We are proud to announce our partnership with the Buy Nevada First Shop & Visitors Center, located in the Reno Marketplace (near Reno Town Mall). If you haven't been to this fabulous store yet, please come by and check out all of the goods made by local crafters and see for yourself how creative Renoites are!